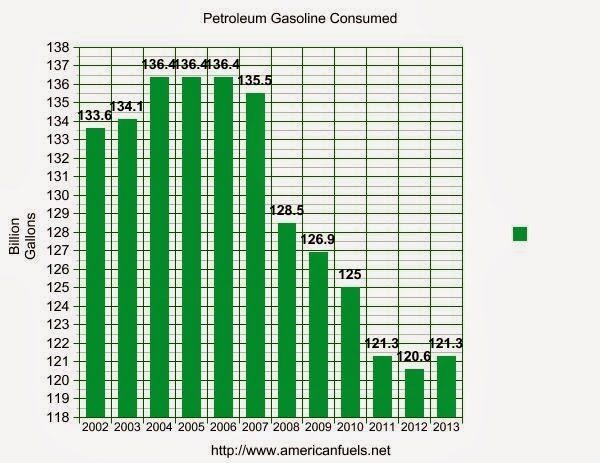 The Energy Information Administration (EIA) recently released the 2013 fuel consumption numbers. With these numbers we can see what the total amount of gasoline consumed for 2013 was. 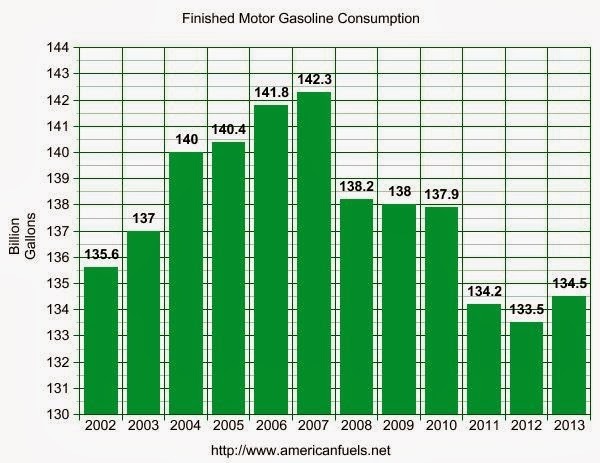 Last year was the first year that the amount of Finished Motor Gasoline consumed increased since it peaked in 2007. 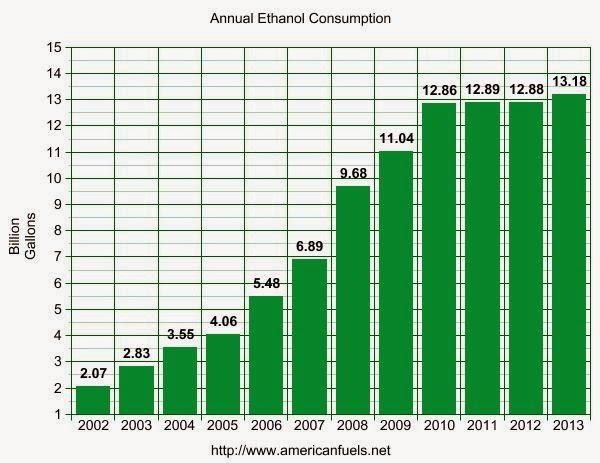 The number that the EIA publishes for Finished Motor Gasoline includes all the ethanol blended into the gasoline supply. So to get the number for just the amount of gasoline derived from petroleum that is consumed, the ethanol needs to be subtracted out. After several years of declines, the amount of Finished Motor Gasoline consumed that is derived from petroleum increased in 2013. Don't get a whole lot of comments and of the few I get, most are spammy in nature.